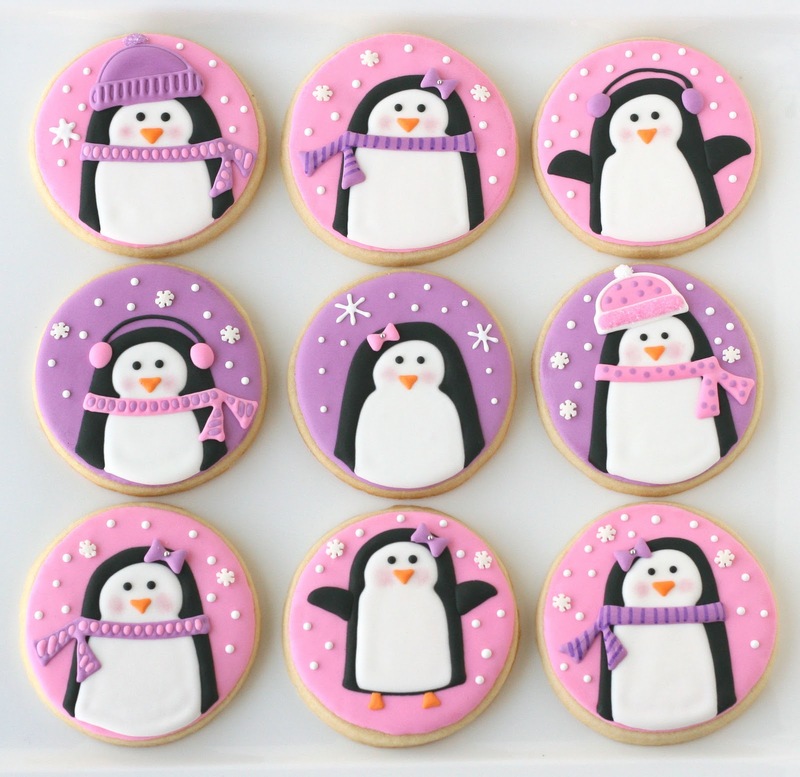 In preparation for my recent Pink and Purple Penguin Party, I spent a day making some cute penguin cookies. I wanted them to be simple, playful and girly, and I love how they came together! Once I had the base design I had lots of fun adding hats, scarfs and ear muffs to give each penguin a little personality. 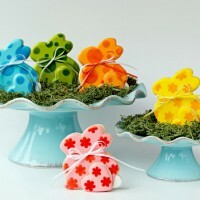 This general design could be done in any number of color schemes to create cookies for boys or girls. 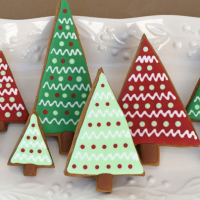 Swapping the purple or pink background for light blue, then adding details in red and green would make adorable traditional Christmas cookies! 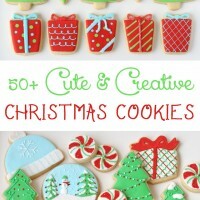 First, bake a batch of cookies using my Sugar Cookie recipe (this can be done 1-3 days before you decorate them). Then, the day you plan to decorate, prepare one (or more) batches of Royal Icing. 1. 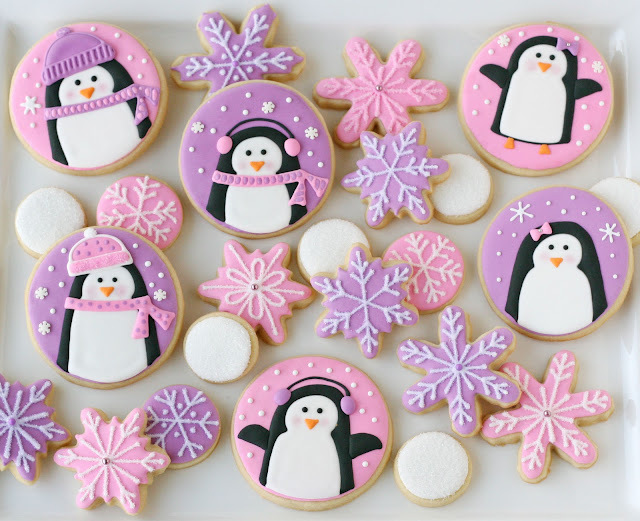 Outline and fill in your cookie with the background color (in this case purple), allow to set a minimum of 2 hours, longer in humid climates. 2. When the base layer is set, use black icing to create the outline of the penguin, as shown. Allow to set 1-2 hours. 3. Fill in the body of the penguin with white icing (as shown). Allow to fully dry (6-8 hours). When the body is dry, add eyes, and a beak. If desired add a little “blush” to the cheeks (shown below), by lightly applying pink luster dust with a small, dry paint brush. Now it’s time to dress your penguins! You can have fun with any combination of bows, scarfs, hats or ear muffs, and I’m sure you can think of even more ideas! Add white “snow” to the background by either adding simple dots, piping simple snowflakes, or adding snowflake shaped sprinkles. For beautiful winter assortment, add snowflake cookies, and some simple snowball cookies. 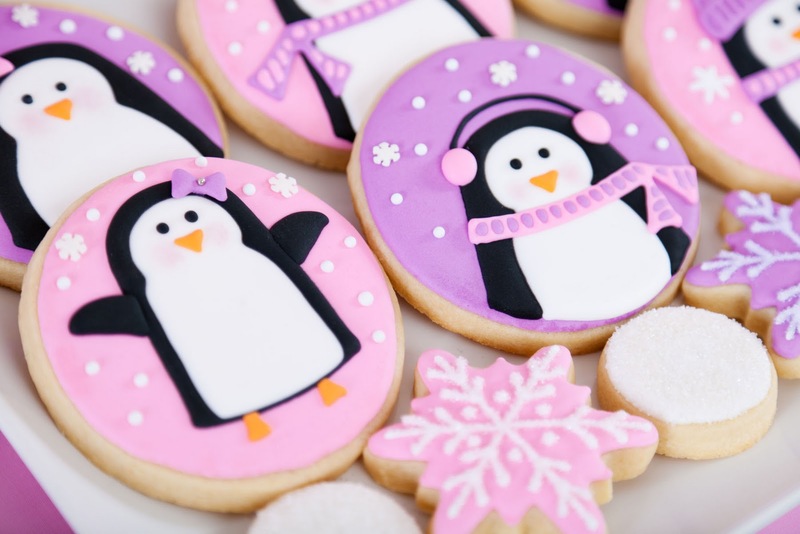 For more penguin fun, be sure to check out the full Pink and Purple Penguin Party! What specific colors did you use to make the pink and purple icing? These are so amazing!